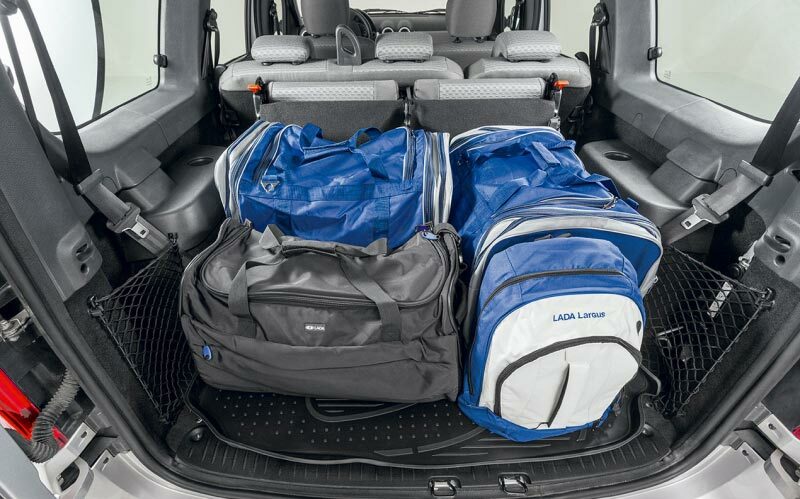 This vehicle will easily meet all your needs. 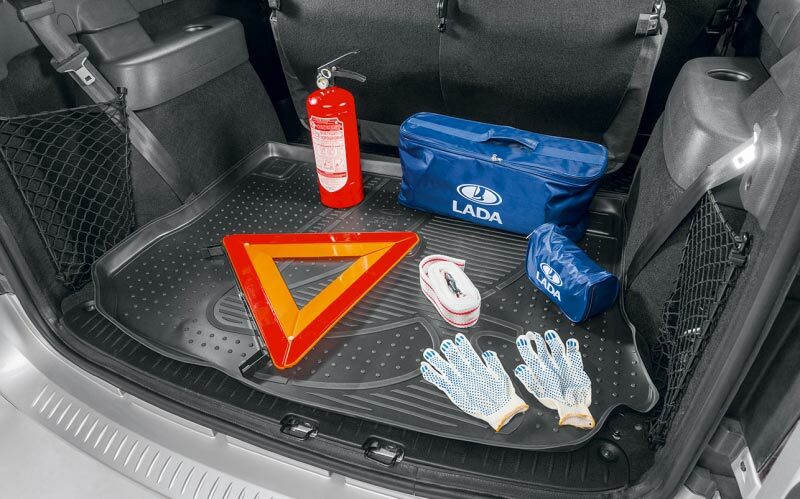 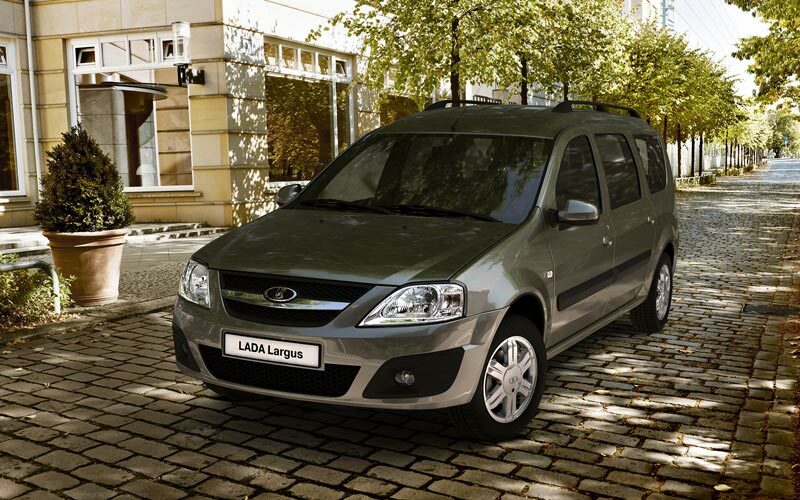 LADA Largus perfectly combines comfort, practicality and big loading space. 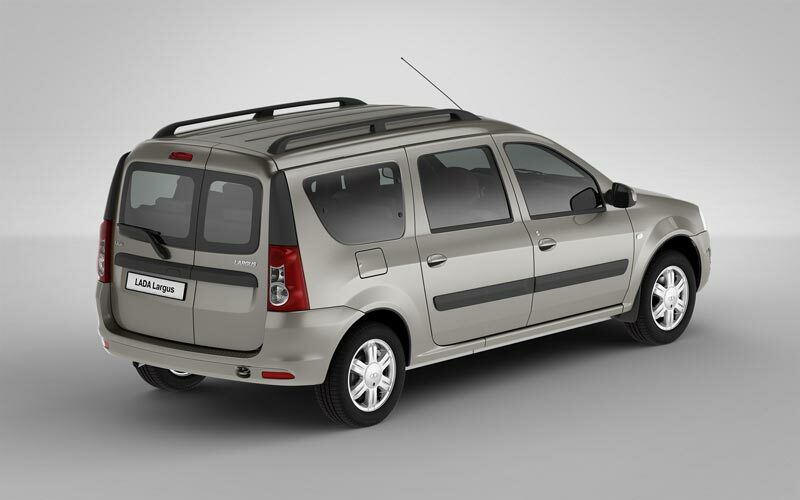 The vehicle looks very friendly with its steel-cut lines of body panels, impressive wheel arches, original rear lights, signature radiator grill. 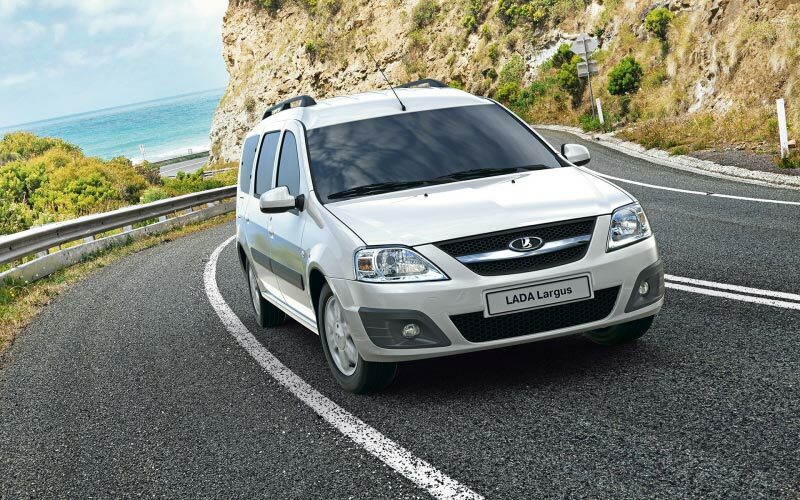 A solid and confident Largus clearly states: "You can count on me!" 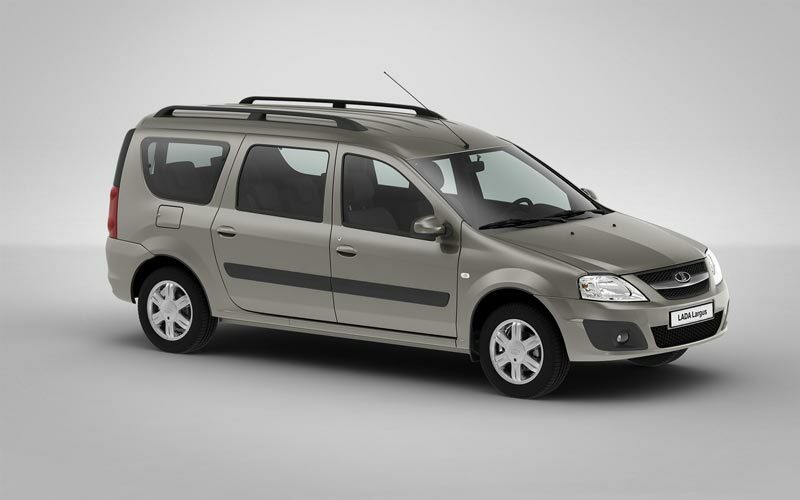 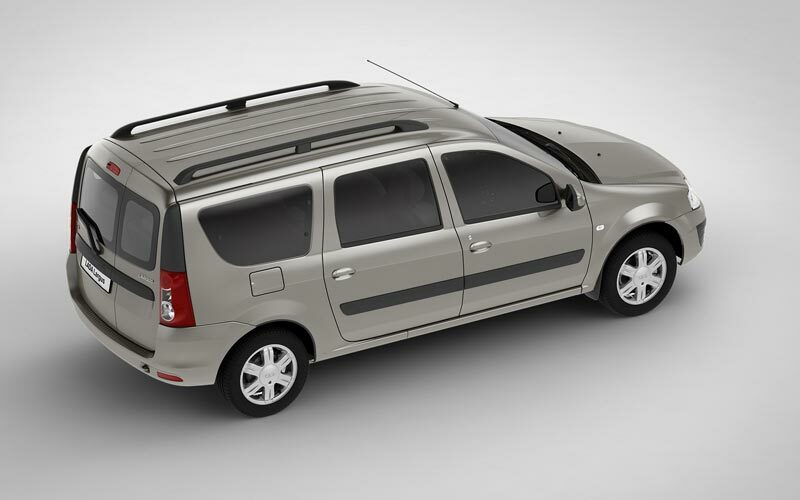 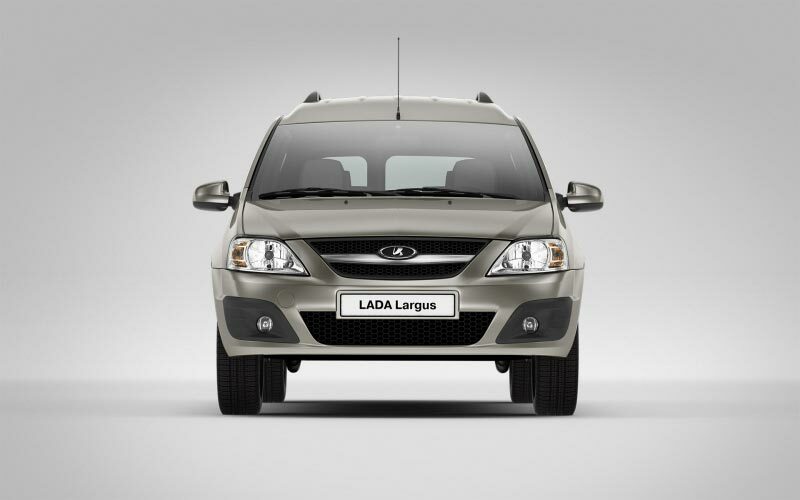 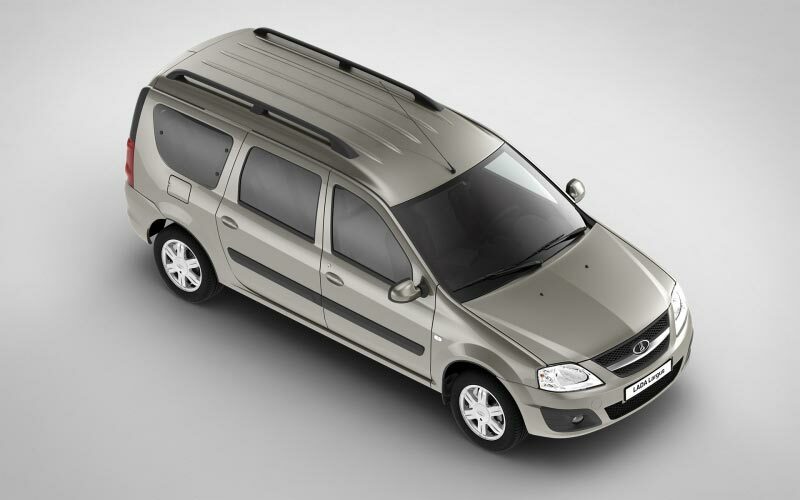 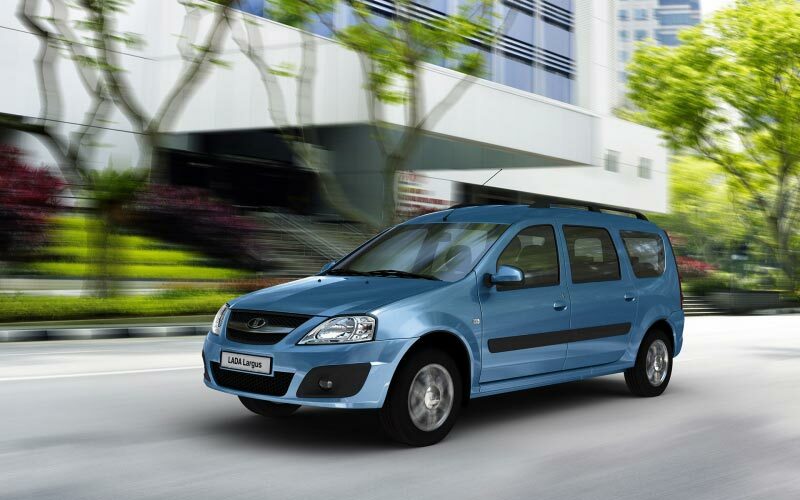 LADA Largus is a vehicle with a dynamic body design, modern interior and a spacious cabin. 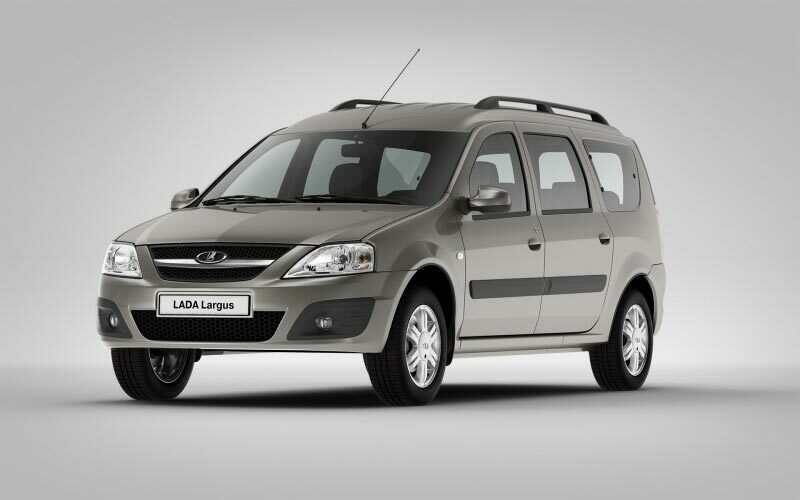 Largus is the only vehicle of this class that offers a very comfortable seating to 7 adult passengers. Thanks to its folding seats LADA Largus can easily be transformed to match any driving needs, from a holiday trip to freighting. LADA Largus is tailored to Russian operation conditions; its proved design and technologies are a guarantee of its high quality. 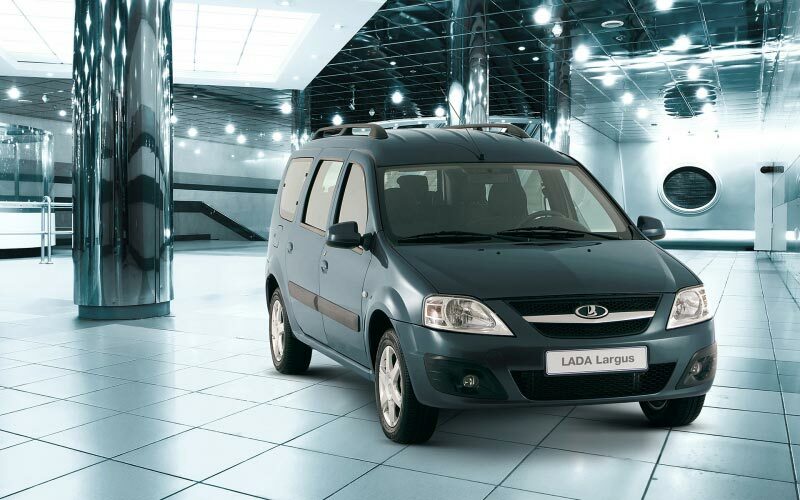 Some vehicles are made to beat speed records, others to impress everyone with their bright design. 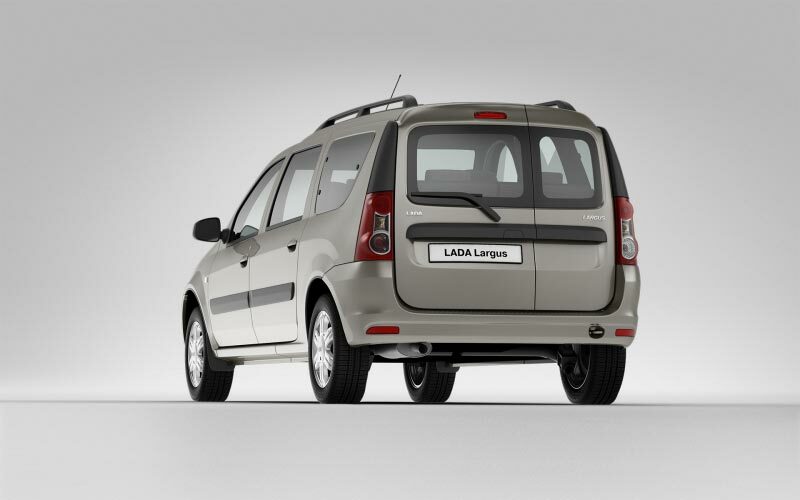 Largus was created for real life. It can drive the road that a sport car cannot. 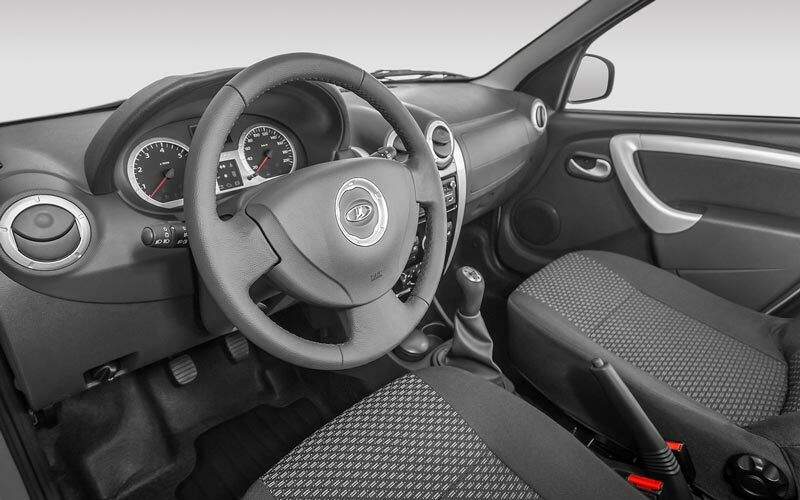 And it will be loved, because the real beauty is found in the "worker"-car. 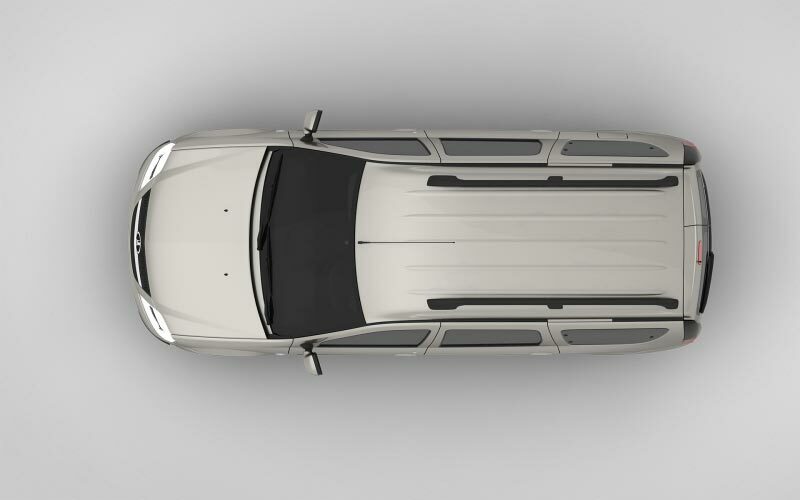 With its small overhangs and a 181mm clearance, this vehicle possesses an excellent off-road capability for this class of vehicles. A torquey engine confidently accelerates Largus with full load. 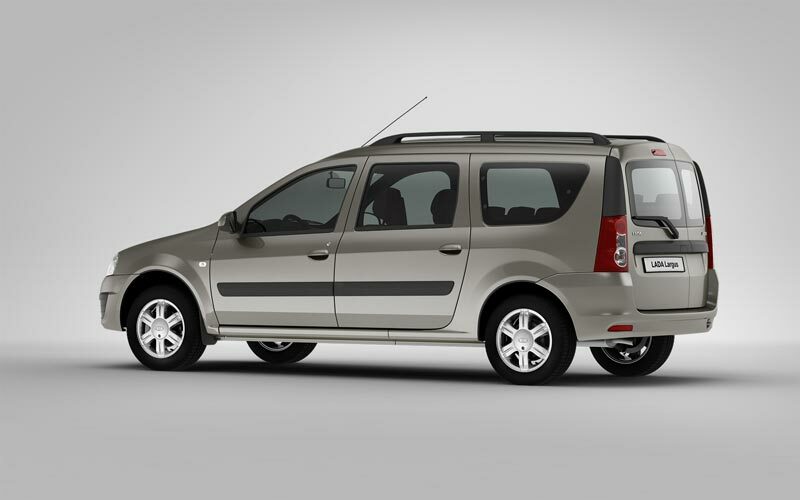 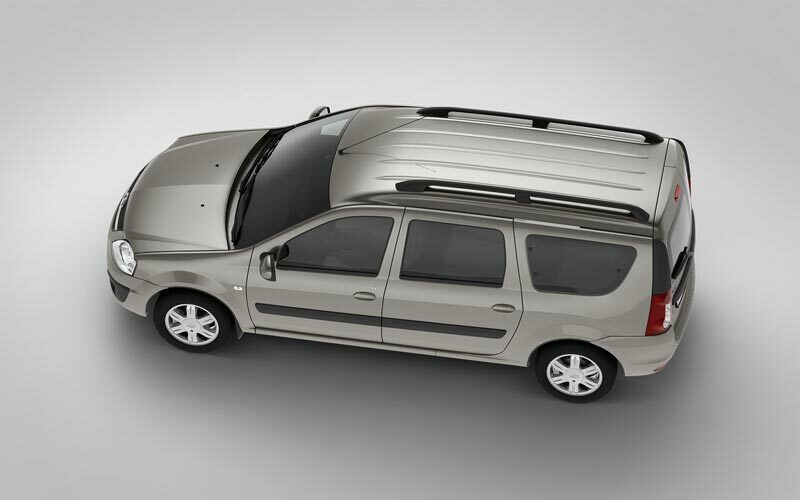 The cabin is easily transformed from a multi-purpose 7-seatear to a 2-seater truck. The third row of seats can be taken out of the cabin without using tools and left in the garage. 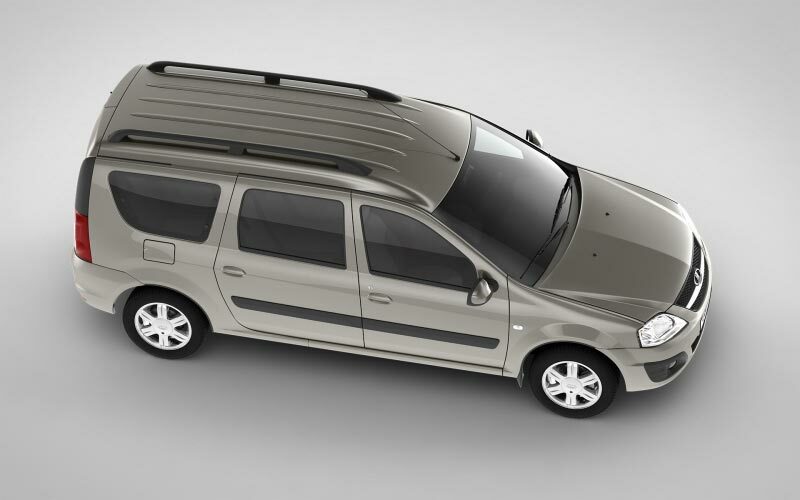 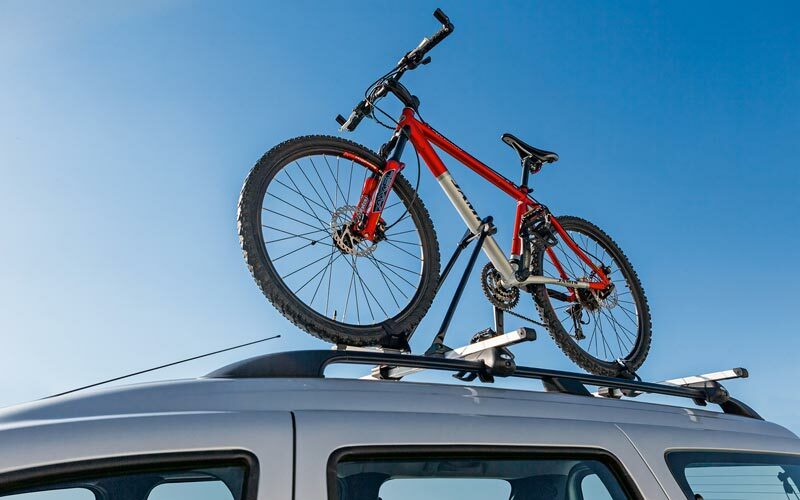 The maximum roof-rail charge is 80kg. 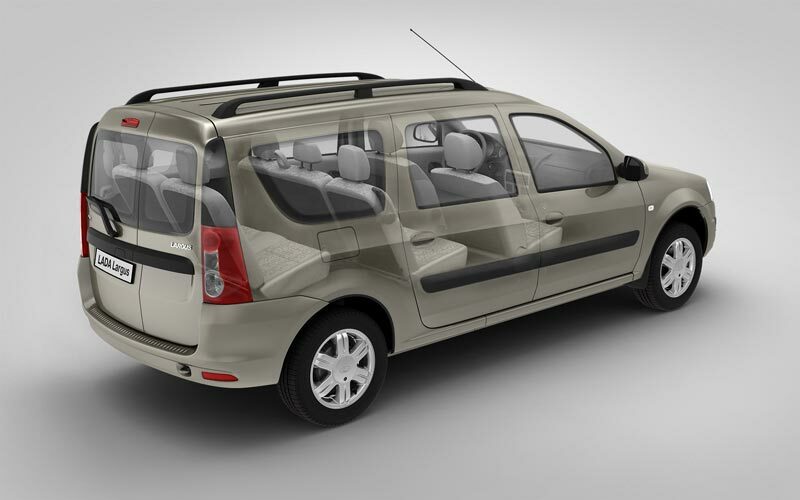 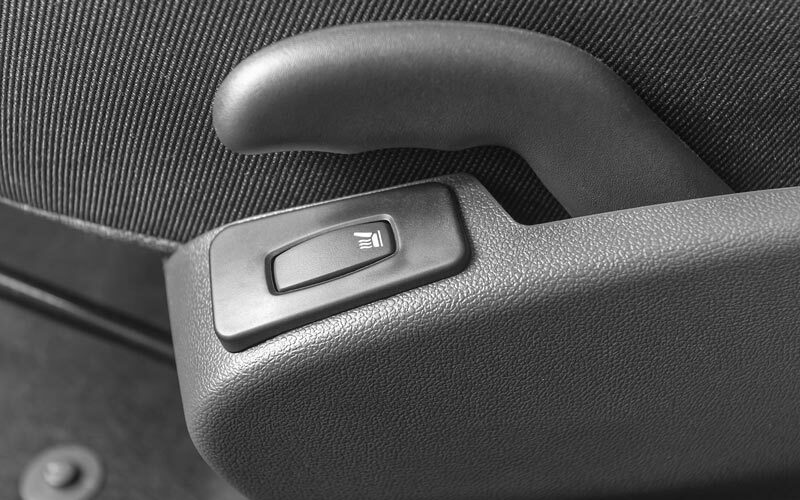 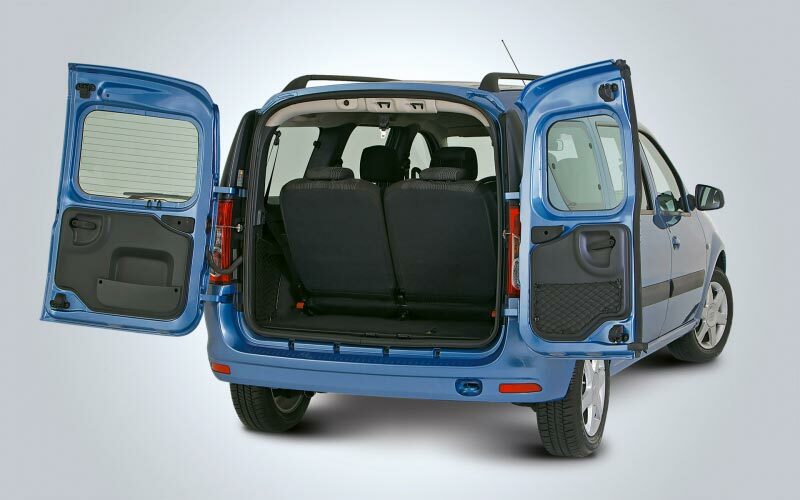 Convenient hinged rear doors have several positions. 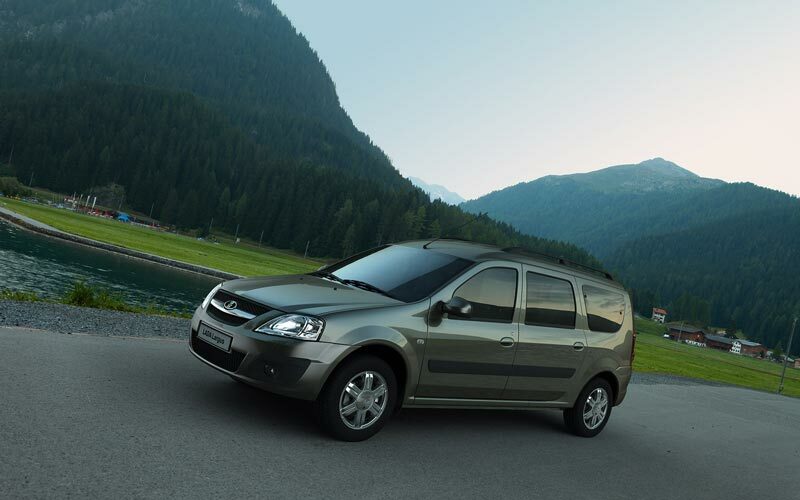 The engine compartment is protected with a powerful mud guard made of two-millimeter steel. 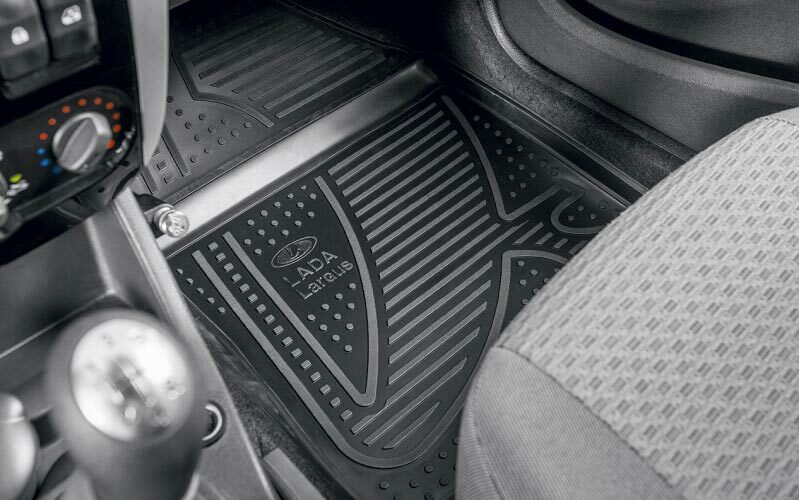 The wheel plates are 15 inches wide. 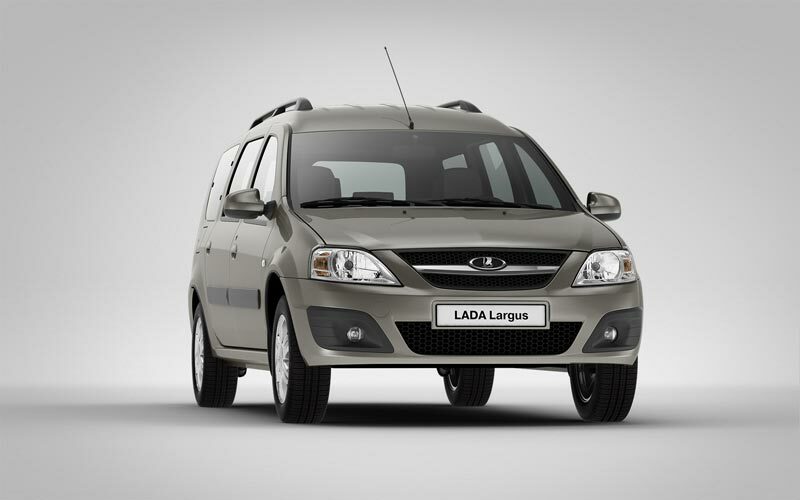 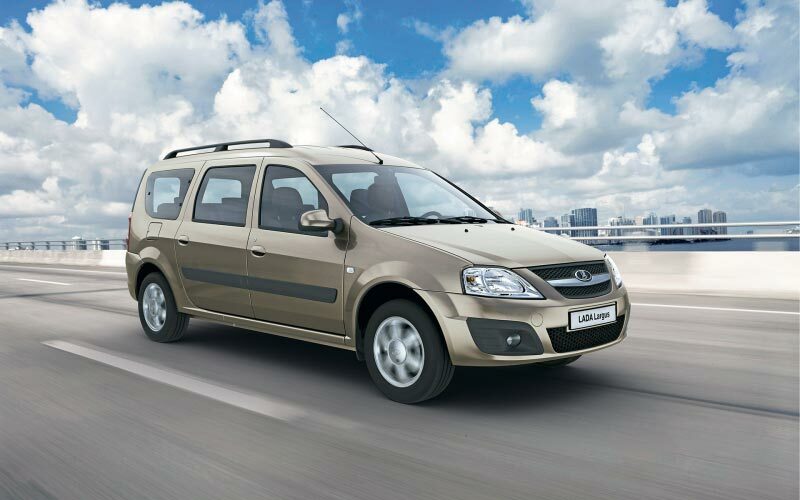 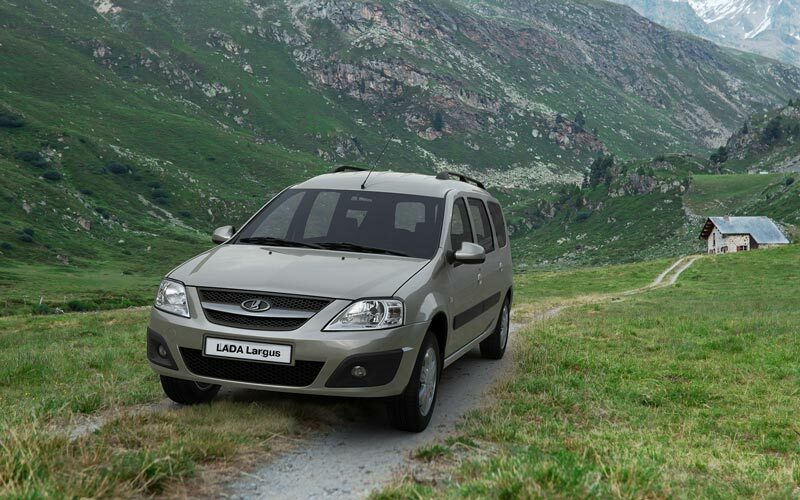 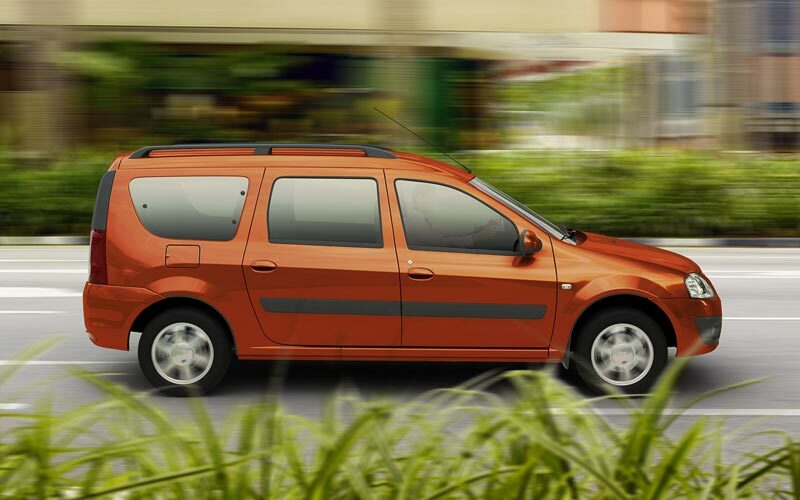 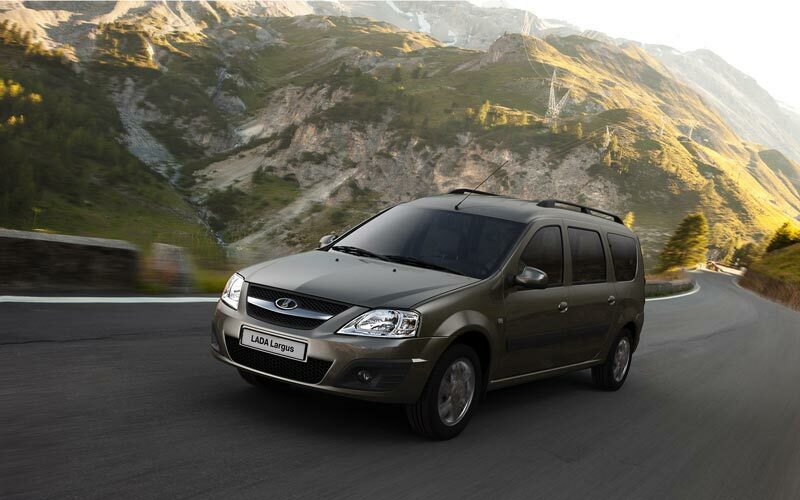 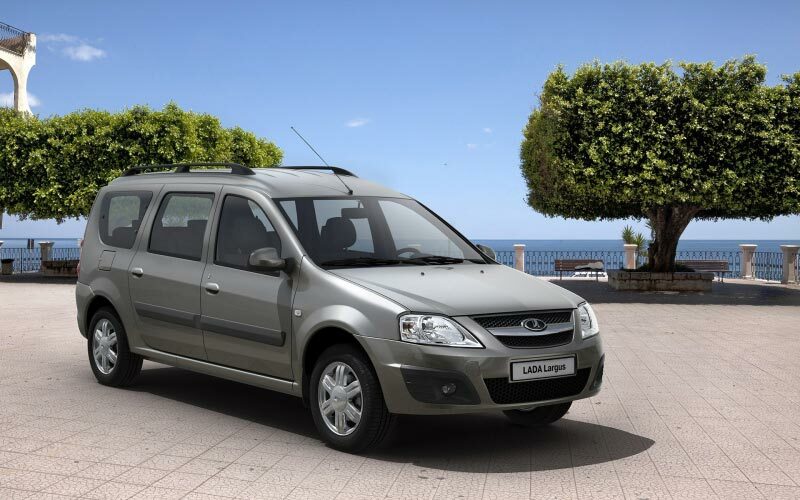 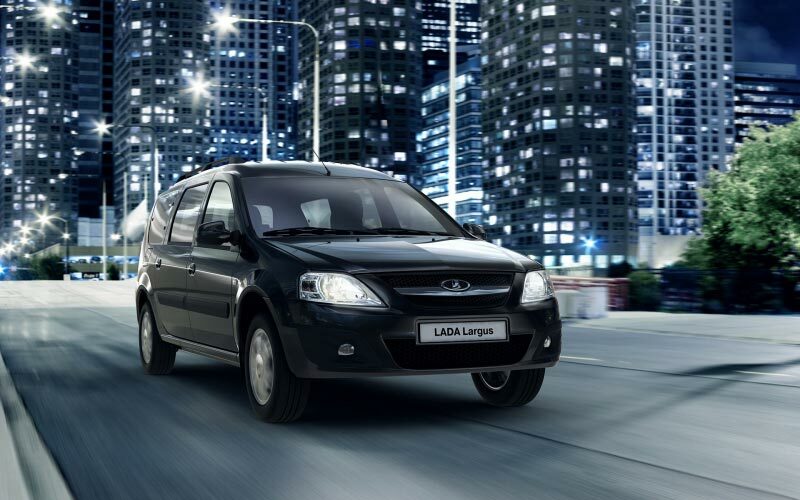 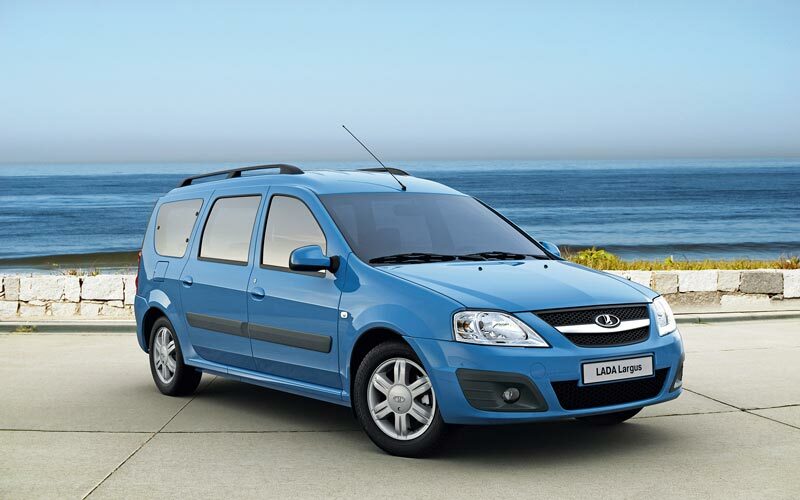 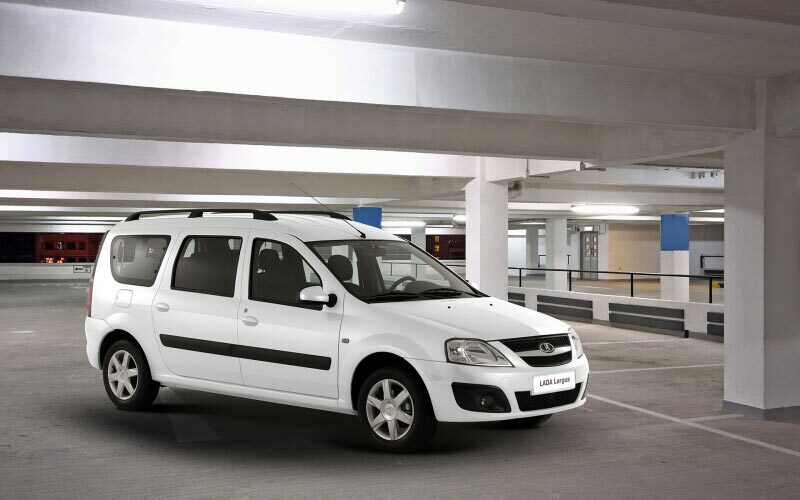 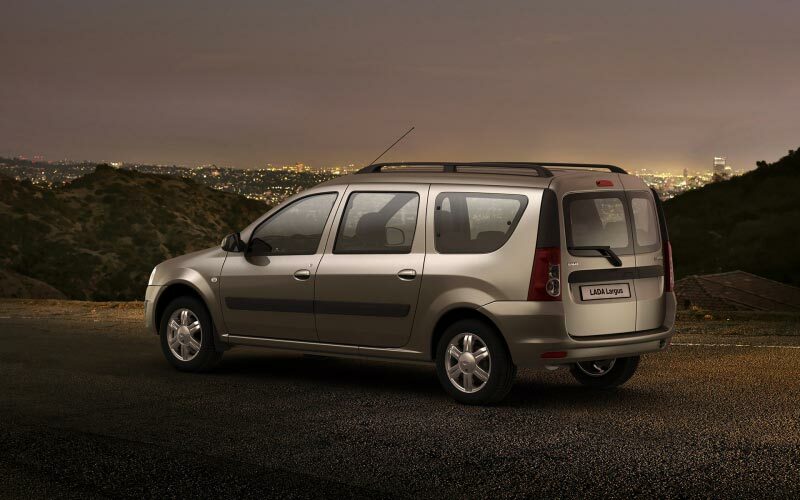 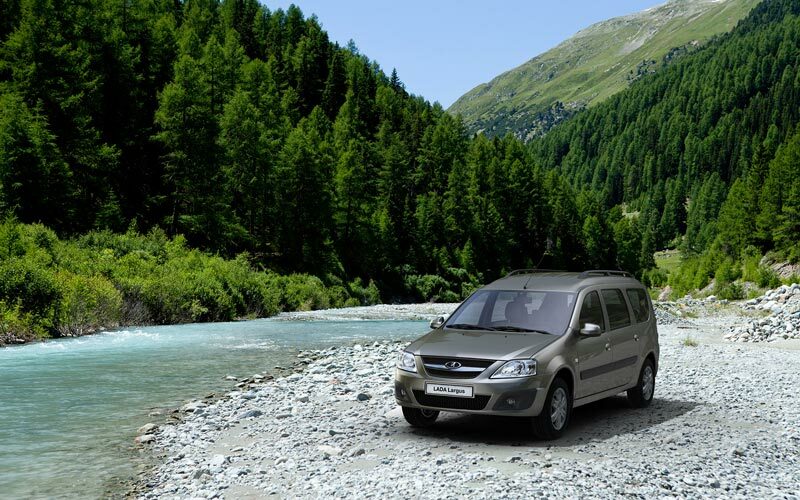 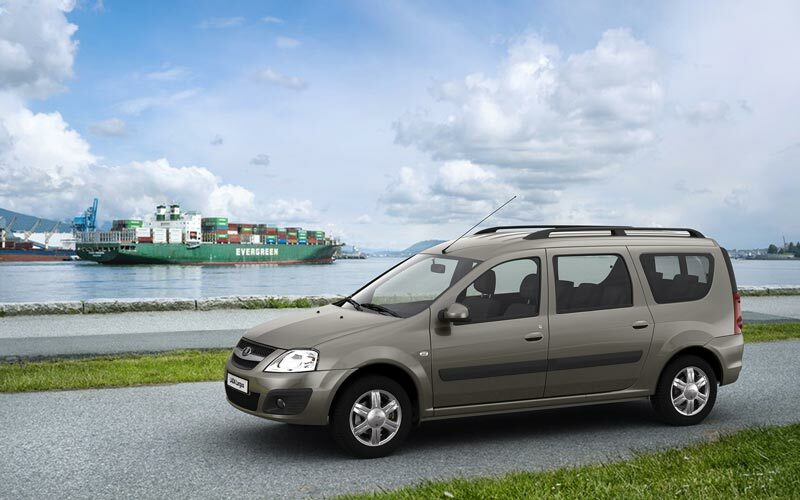 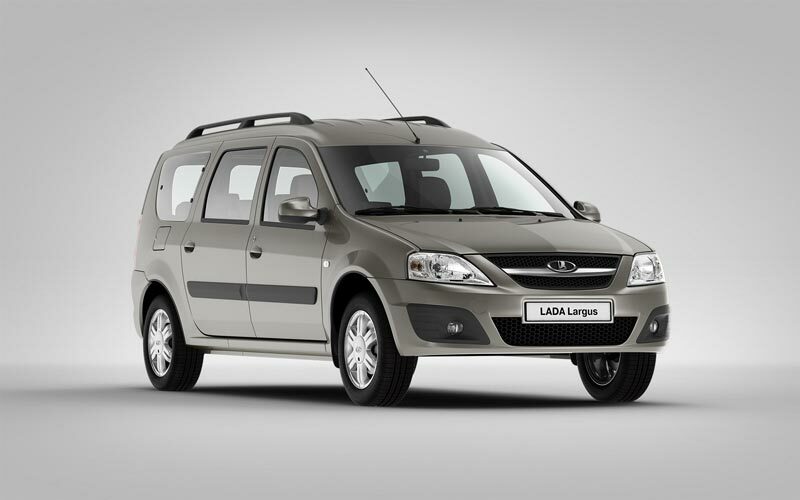 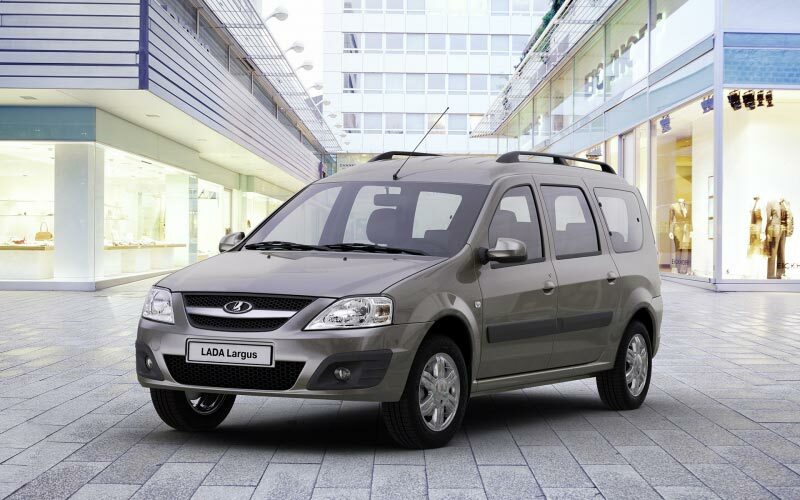 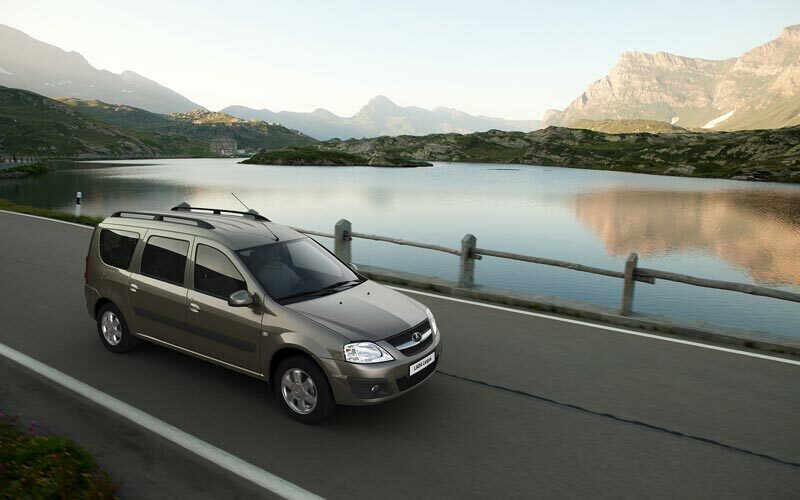 LADA Largus is an exceptionally spacious and very comfortable vehicle. A wide driver's seat features height adjustment and lumbar support. 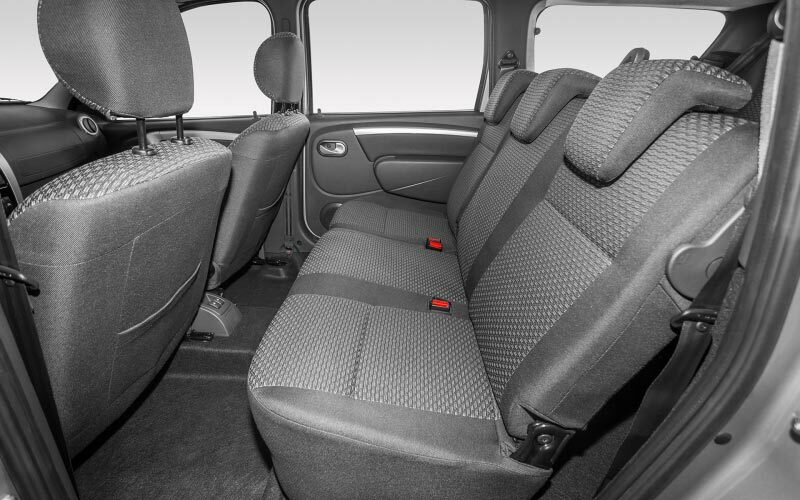 Third row passenger seats are very comfortable, even tall male passengers will feel at ease here. Each of the three seat rows features air ducts warming passengers' feet. The vehicle chassis provide smooth driving: ride comfort on all roads thanks to the long base, and a powerful suspension. 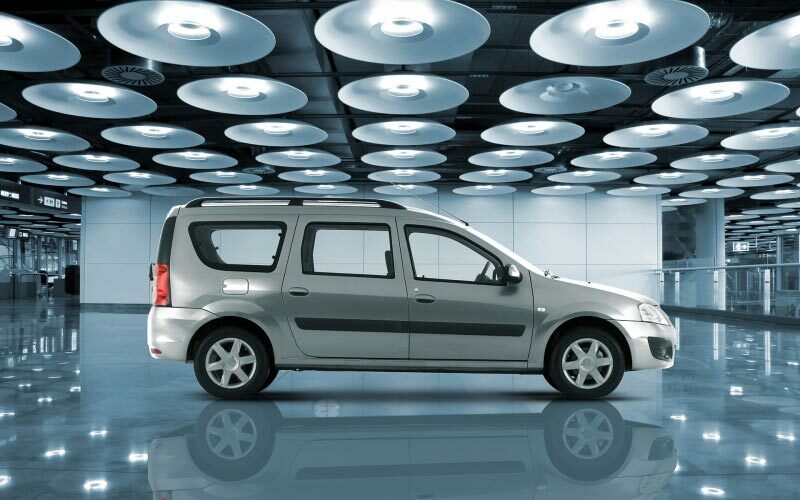 The front subframe guarantees stability and steering response at different speeds. 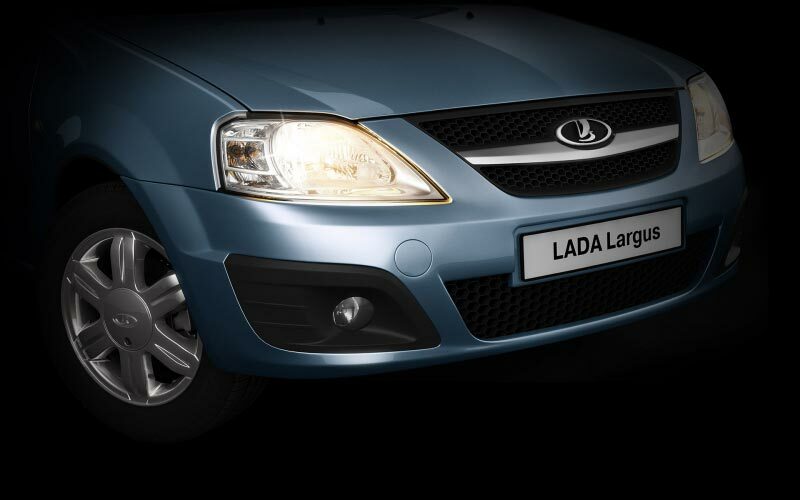 LADA Largus has a European solidity. 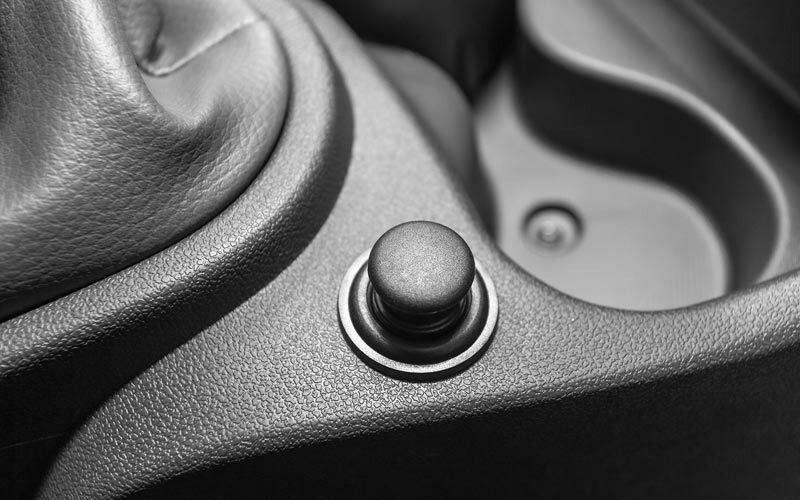 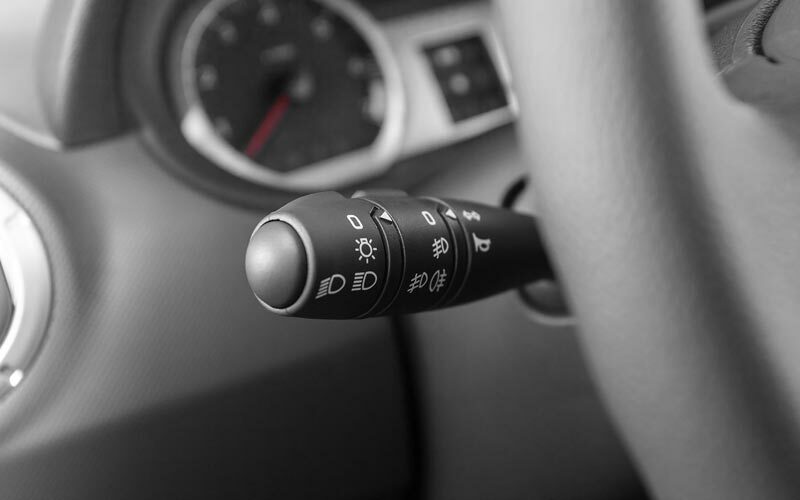 You need minimum effort to control all systems, - from pedals to door knobs. 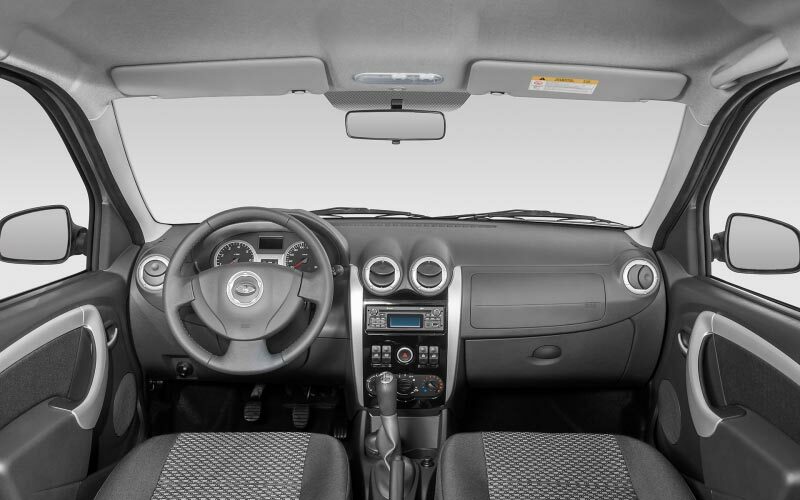 A high acoustic comfort is possible thanks to a choice of materials, and even with a high mileage there is no squeaking in the cabin. 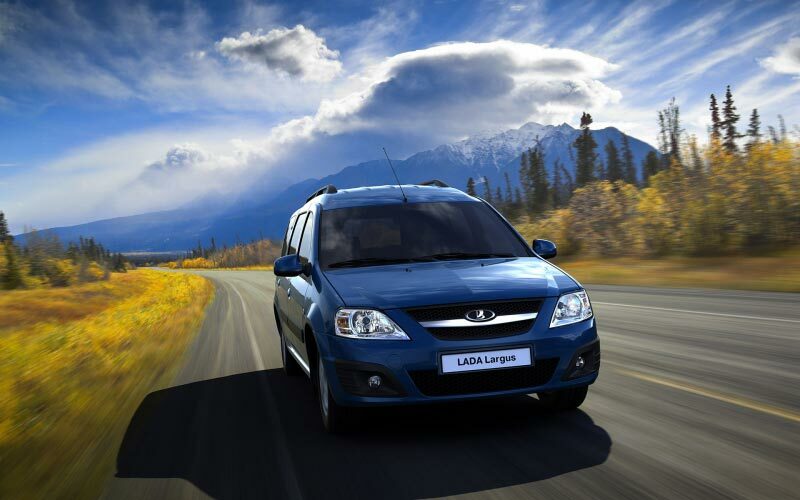 Although LADA Largus has a European "family tree", this vehicle was built for our roads. 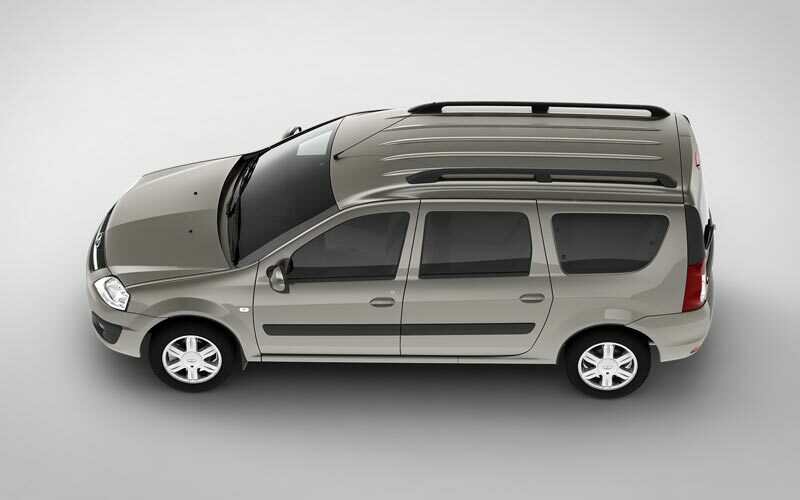 Its solid long-stroke suspension easily absorbs all pits and bumps, a high clearance and good geometric off-road drive - these are serious arguments against road surprises! 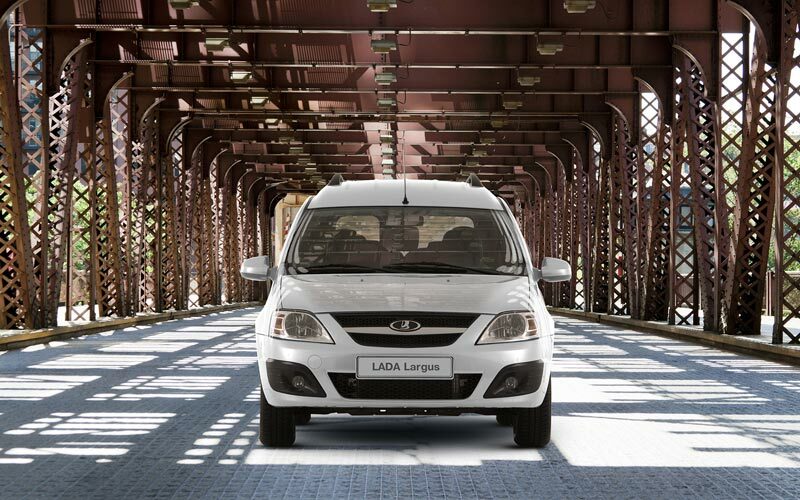 All exterior panels in LADA Largus are made of two-sided galvanized steel. Largus was built on B0 Platform, which showed good results all over the world. 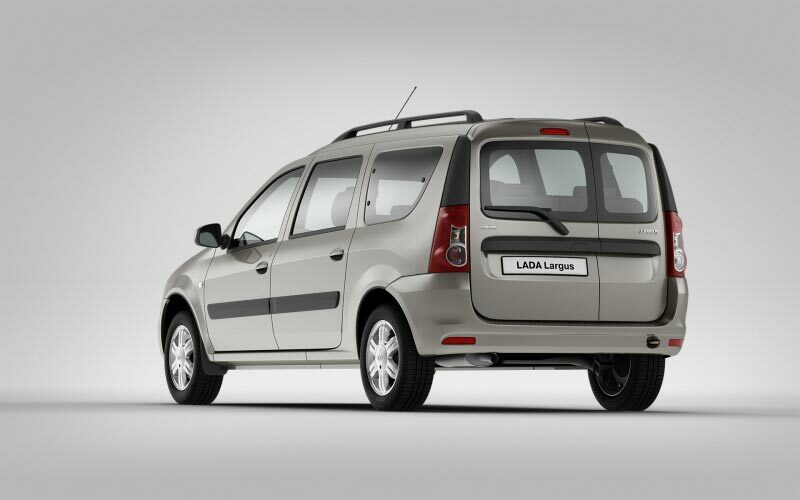 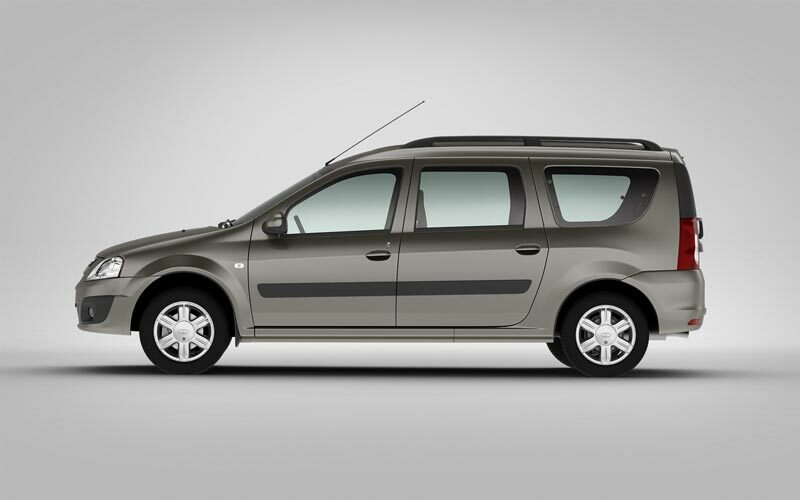 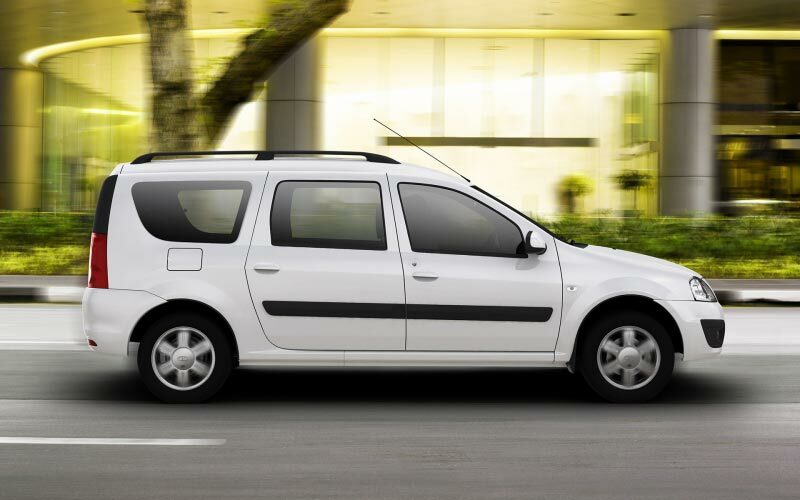 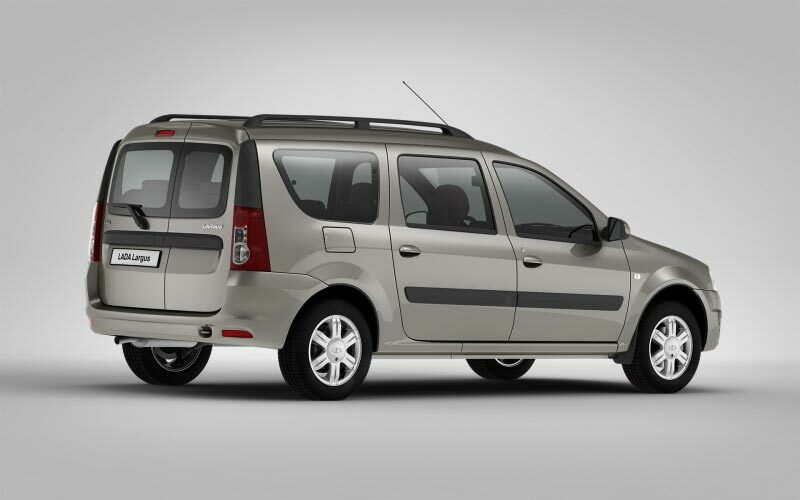 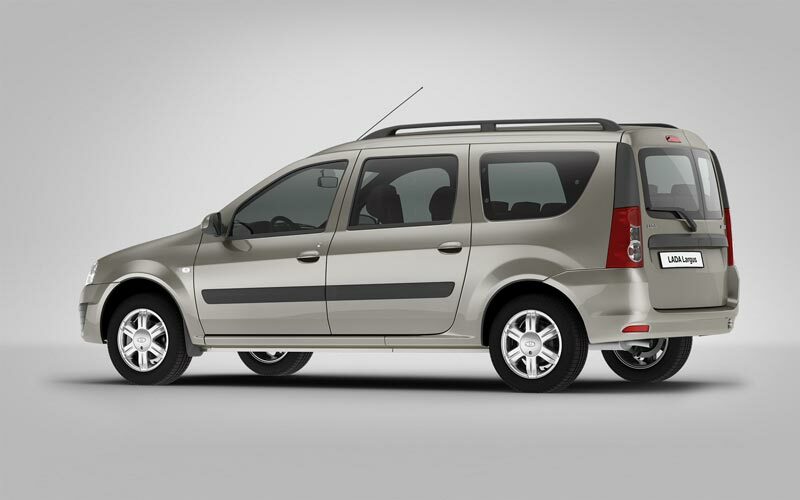 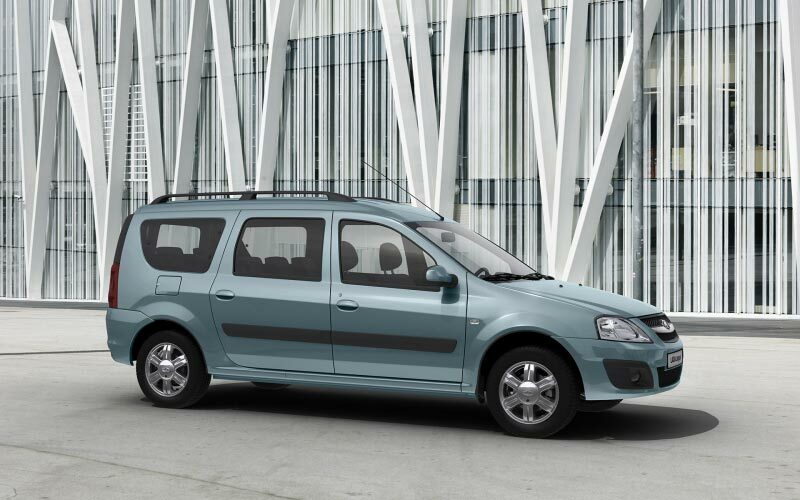 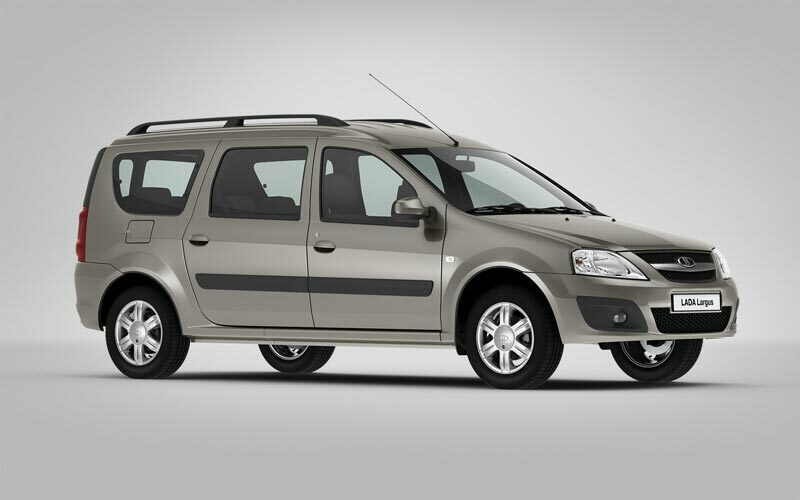 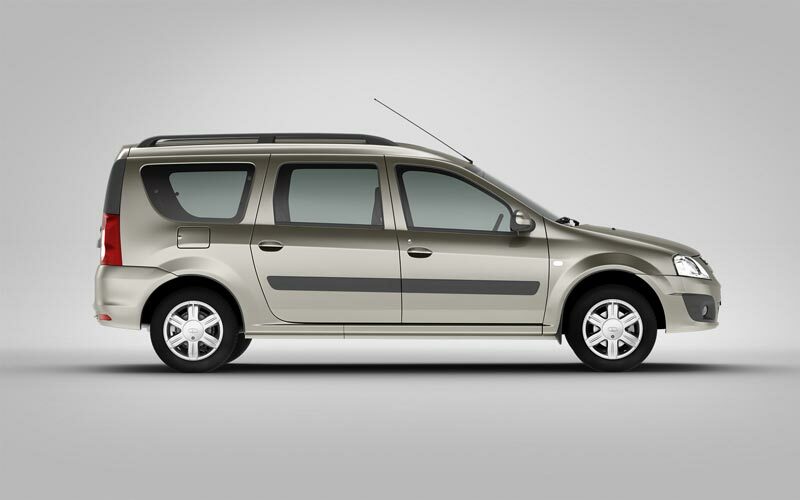 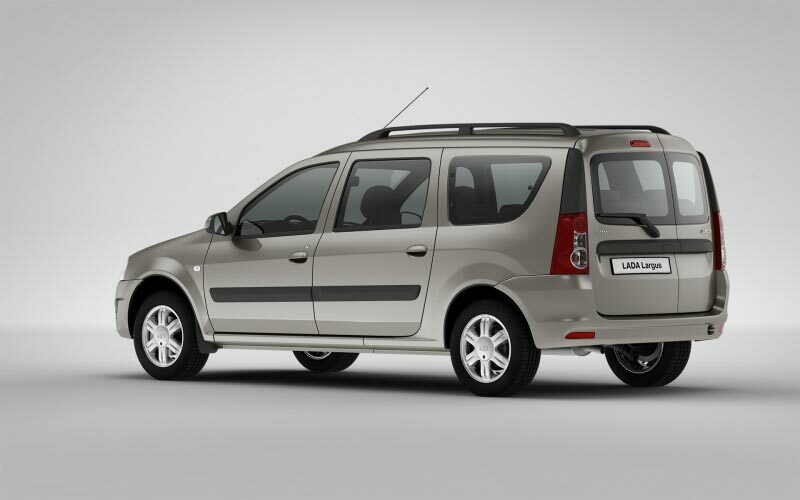 Largus was entirely built under a license from RENAULT-NISSAN Alliance. 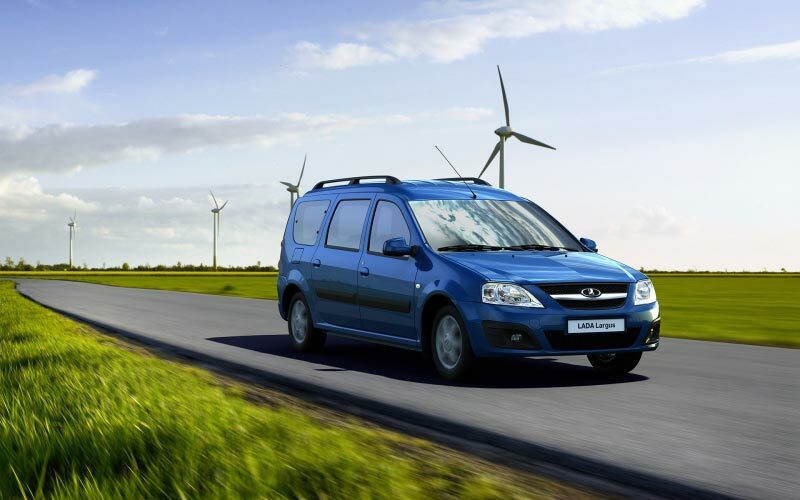 The basic construction initially created for Eastern Europe was adapted for Russia: the suspension and brakes were reinforced, the thickness of antigravel protection and the area of its distribution on the underbody were increased, wheel arches received anti-chip pads. 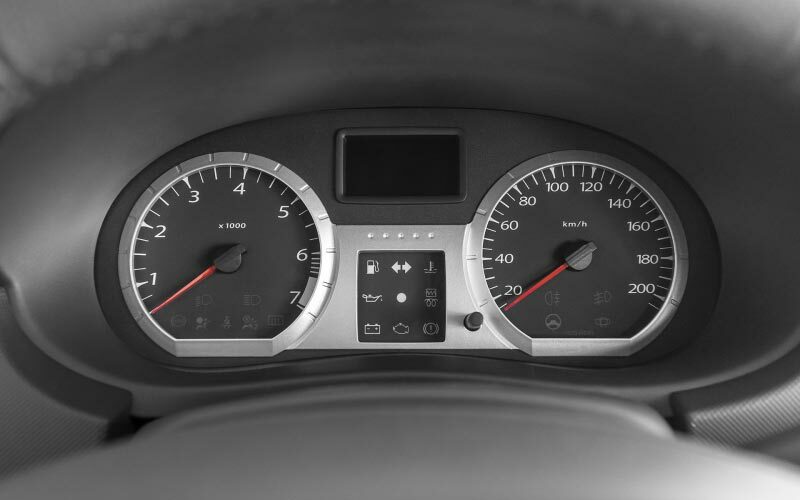 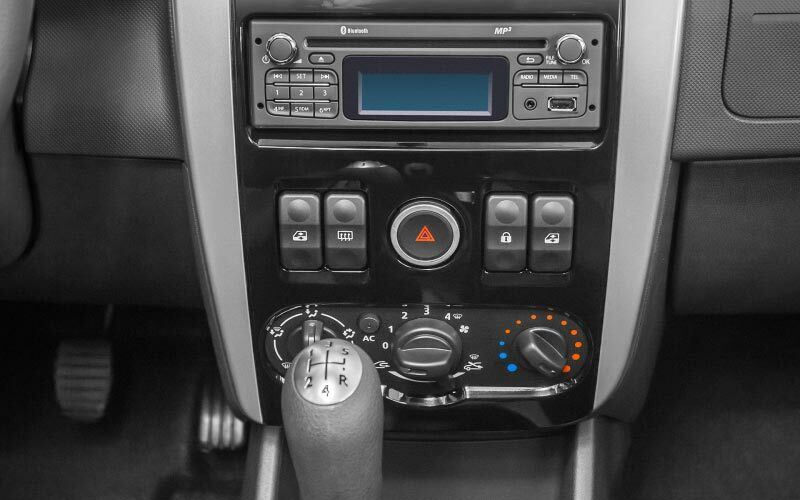 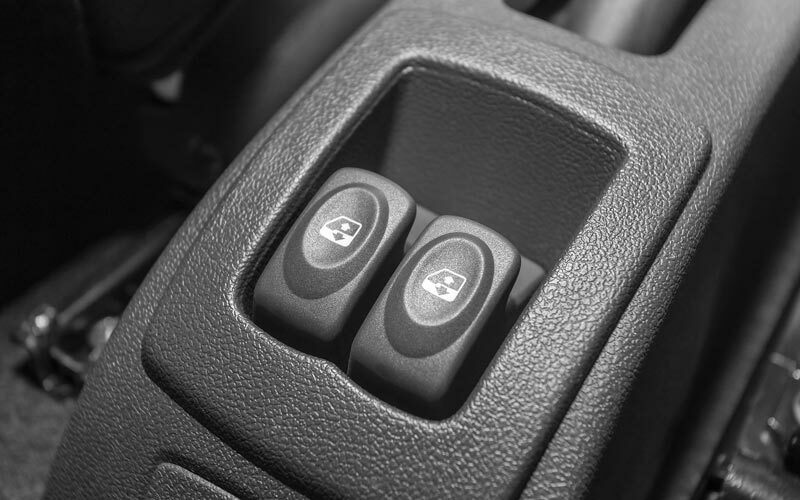 LADA Largus has original calibration of engine controls, which entirely adapts the vehicle to the Russian gas. LADA Largus has a 3-year guarantee, or 100 thousand kilometers driven. 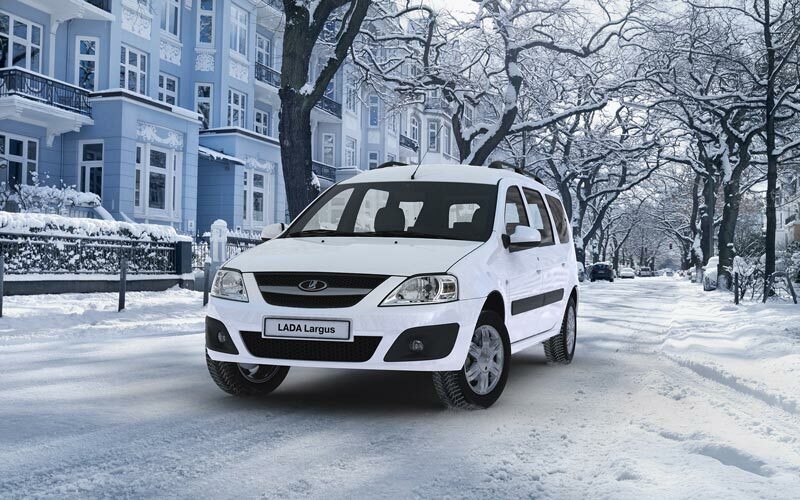 Largus is equipped with the latest generation ABS in order to achieve high-grade security. 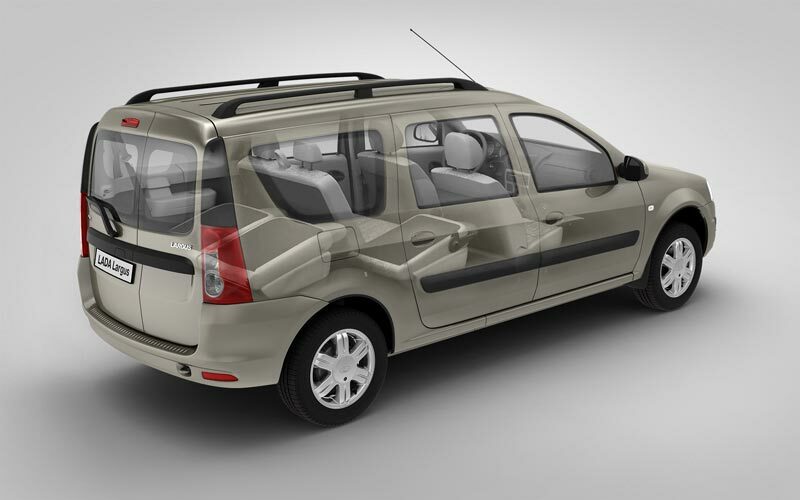 The bearing frame construction aimed to minimize passengers' injuries in case of a collision. 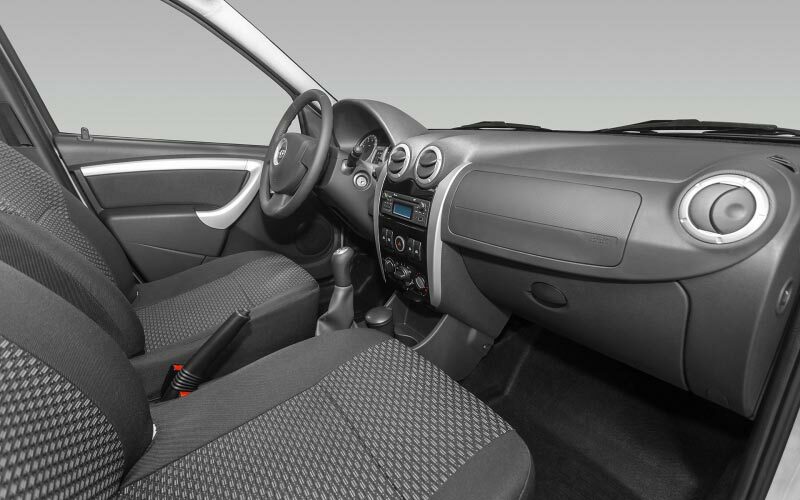 All seats have three-point seat belts and head-rests, it also features front and side airbags for the driver and the front passenger. 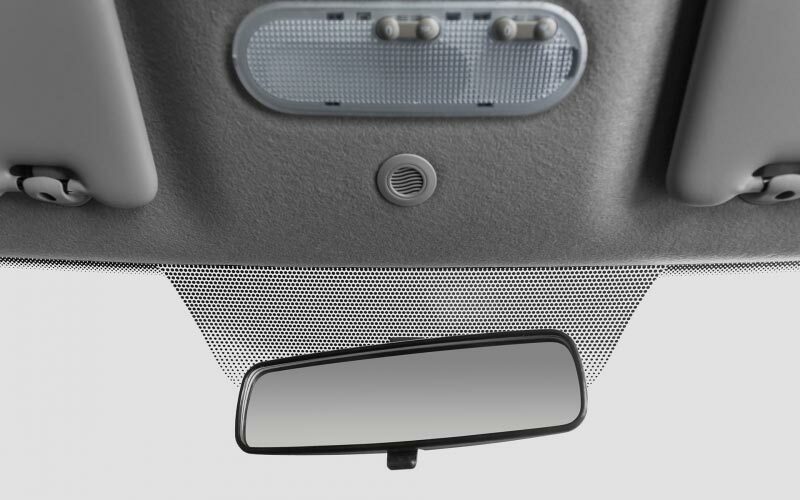 Honeycombed inserts in the front doors panels.